SmartLine’s 18th month Consortium Meeting successfully took place in Munich, on March 18-19, with participation of AUTh, CRF, LayTec, Aixtron, IBS, Suragus and OET. The partners had the opportunity to present the project’s current state and exchange opinions on ongoing matters. 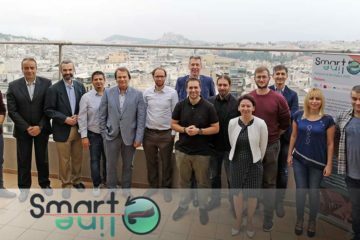 SmartLine’s 12th month Consortium Meeting took place at Divani Caravel Hotel, in Athens, on October 23rd, with participation of AUTh, CRF, LayTec, Aixtron, IBS, Suragus and OET, deeming it a success.